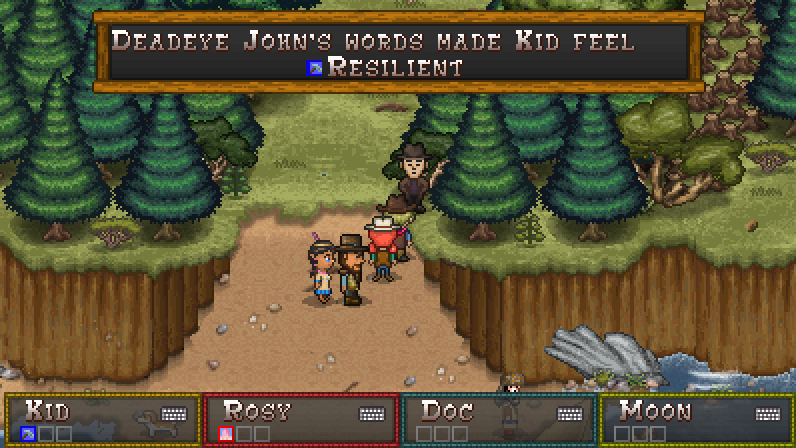 Boot Hill Heroes and Boot Hill Bounties are 50% Off Until April 8! Today begins the anniversary sale for Experimental Gamer. 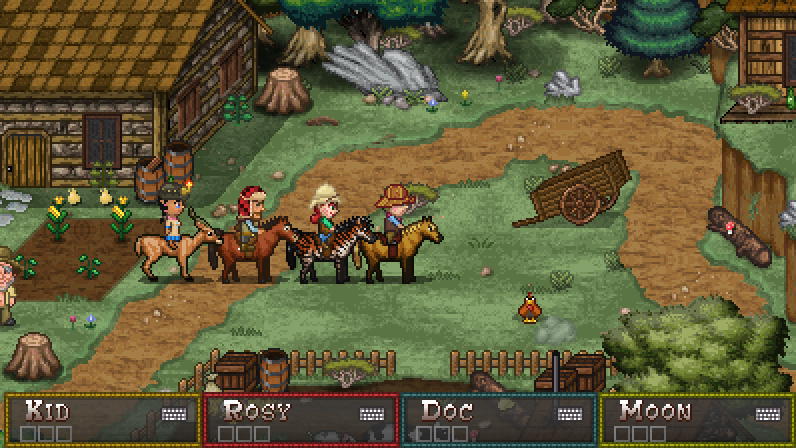 For a limited time, you can get Boot Hill Heroes and/or Boot Hill Bounties on Steam for 50% off. Is this an April Fool’s Day Joke, or a gift from the Eater Bunny? Visit the Steam Store to find out! Boot Hill Heroes and Boot Hill Bounties 50% Anniversary Sale April 1 – 8! I know you’ve been thinking about it. 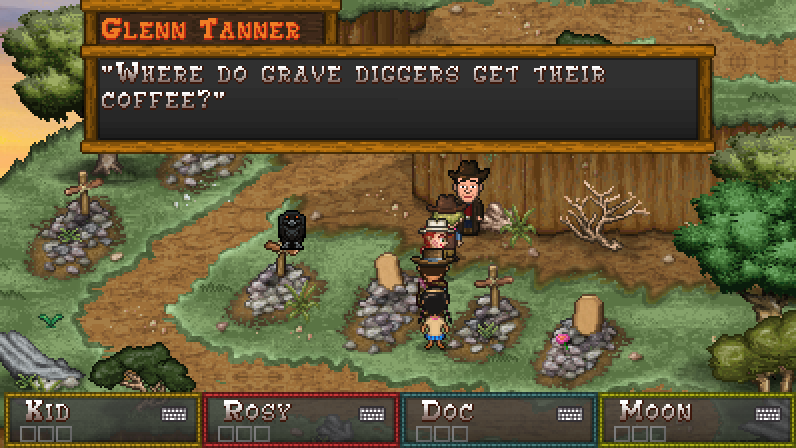 You’ve been wondering if it’s finally time to jump in to the Boot Hill Heroes games series. Finally, the right moment is about to arrive. 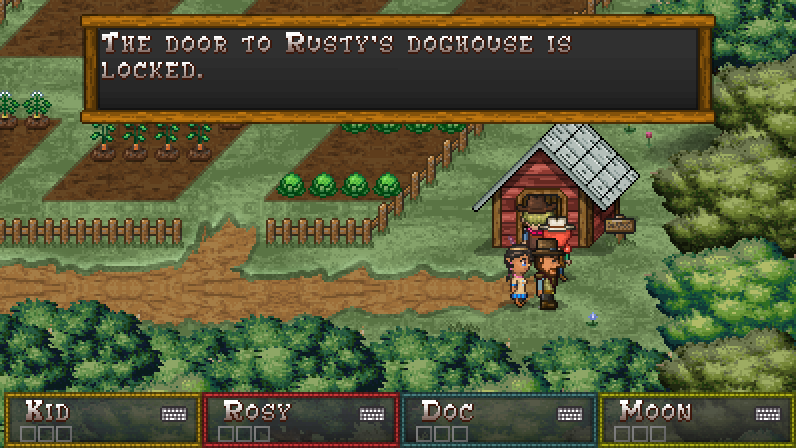 Can you believe it’s been nearly four years since Boot Hill Heroes was first released on PlayStation Mobile? Since then, the game has been ported to Xbox 360 and, of course, Steam. To celebrate this upcoming anniversary both Boot Hill Heroes and Boot Hill Bounties will be 50% off for a week on Steam! That’s April 1 through April 8. This is the biggest discount ever for these games together and will not happen again any time soon. It’s finally here. 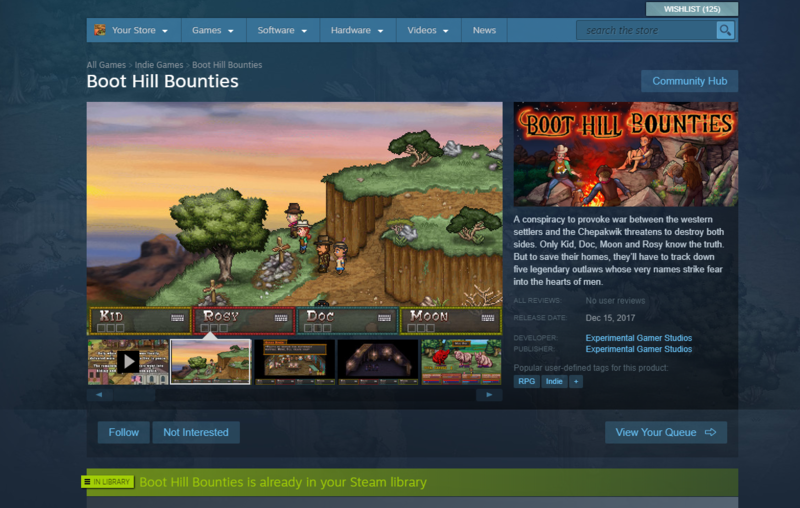 The culmination of a game over six years in the making – Boot Hill Bounties is available on Steam! 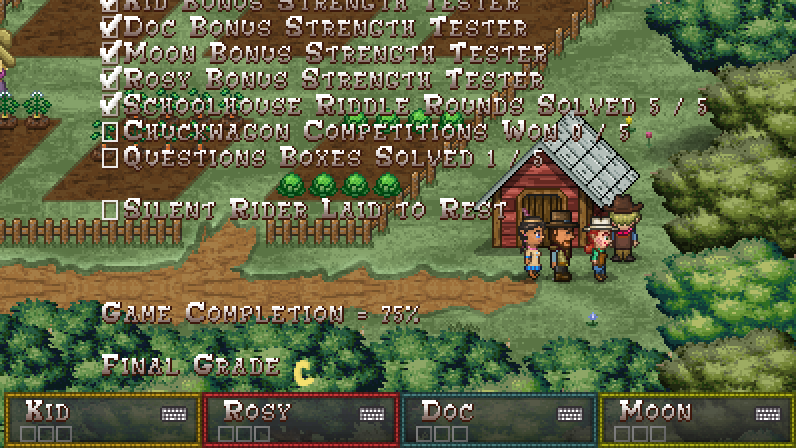 So the last Corral Countdown entry here was naturally going to be the release of Boot Hill Bounties. But the extra surprise is that it comes with a launch discount of 40% off! Did you see that coming? This discount will last for one week, so you have until December 22 to take advantage of it. And here we are at the end of our countdown. This started months ago on September 20 and continued every week day (with a small 10 day hiatus) up until now. I’ve gone over just about everything I want people to know about Boot Hill Bounties, but still left a lot of surprises left for players to find. So what are you still doing here? 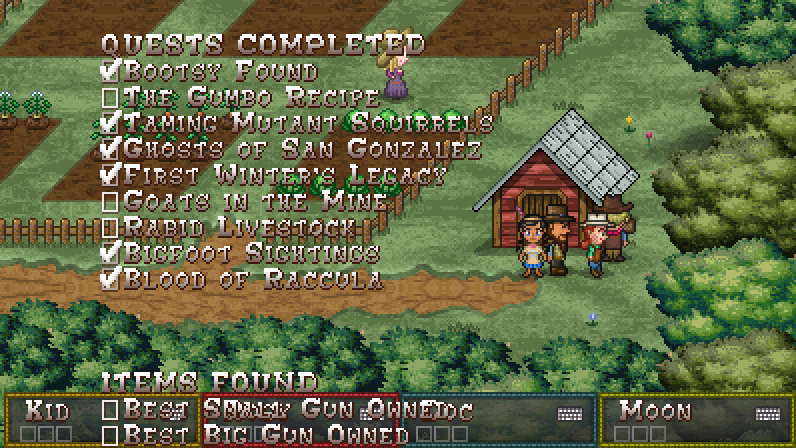 Boot Hill Bounties is on Steam right now, which means discovering everything else is up to you. You’re on your own! Just one more thing if you’d like to help me out. This game obviously contains a lot of effort and what I want most is for it to reach the right people who will appreciate that effort. Making sure it reaches those people is something you can help with through recommendations, reviews and simple things like tweets and social media posts. Please think of someone you know who would be interested in retro RPGs and do us both a favor by letting them know about it. Otherwise, they may never hear about it at all and remain tragically unaware of a game that was made for them. Although the Corral Countdown is over, this blog will continue and I’ll continue to update with ongoing news about Boot Hill Bounties and the future of this series. So please check back often. With only one day left before release, it wasn’t easy to decide on what else to write about for the penultimate Corral Countdown. But there’s one element that has played a major role both in the development of Boot Hill Bounties as well as in the game itself. 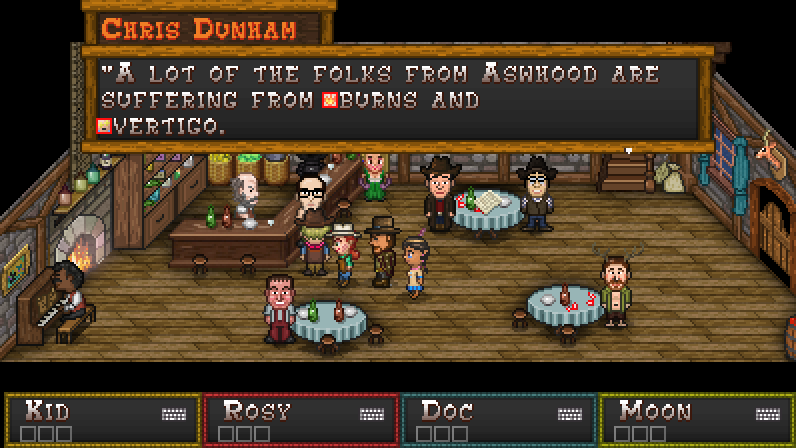 Boot Hill Heroes began as a Kickstarter project way back in May of 2012. If you can imagine, Kickstarter was still a relatively new phenomenon at the time and the campaign was very successful. The project garnered nearly 500 backers and about 100 of them pledged enough to have their own sprite in the game. Kickstarter Backers can be found all over Bronco County. They typically blend in with other non-player character residents, but occasionally stand out. Kickstarter backers have contributed a lot to this project, from both the initial funding of the project to adding more color and personality to Bronco County itself. Tomorrow Boot Hill Bounties will finally be released along with the final Corral Countdown. There’s still one more thing I want to tell people about the game. Welcome back to the Corral Countdown after our brief hiatus. Things are back in order and Boot Hill Bounties is set to go public on Steam this Friday, December 15. Steam keys have already been sent out to Kickstarter backers and a select group of journalists. But there are still a few things left I want people to know about the game, so the Corral Countdown continues. We’ve talked about so many things like learning recipes, upgrading your farm, gaining levels in hats, completing side quests. But, can you do all of these things? Can you get 100% completion? When you complete Boot Hill Bounties, your completion rate will be evaluated and you’ll be given a grade based on how much of the game you completed. It takes about 25 hours to complete the main storyline, but how long will it takes to get to 100% completion? And then, what happens when you do get 100% completion? Do you get a thumbs up? Maybe a special medal? No sir, no you do not. You then get a key. A very special key that unlocks a very deep secret and one final riddle and side quest that players can solve. Believe me when I tell you that this 100% riddle is so fiendishly deceptive that this post 100% completion side quest may never be solved. It may remain as one of gaming’s biggest mysteries. Unfortunately, I cannot tell you more. Only you can 100% complete Boot Hill Bounties, get this mysterious key, and tackle this final riddle yourself.